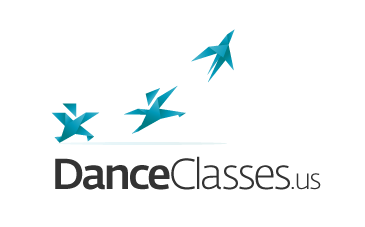 The purpose of LondonClasses social network lies in connecting people who teach certain classes with those who need such classes. The author of the startup approached us for a logo, which would reflect the idea of trainings and display all benefits of the project. The project’s name is arbitrary, since the developers planned for several sites – one for each city or state. 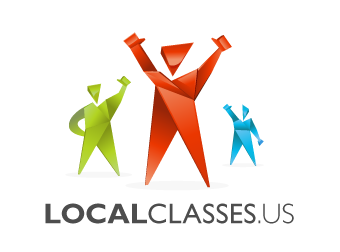 Examples: LondonClasses.co.uk, CaliforniaClasses.us, SanFranciscoClasses.us, BirminghamClasses.co.uk. We started working on metaphors and looking for strong visual images that would make the message of group trainings clear. It turned out to be a rather challenging task – there are no established metaphors for training sessions that would be generic and international. Star factory. Reflects the idea of turning an ordinary person into a local star. Origami. A person changes through the classes and so we came up with the origami idea – you can fold a sheet of paper into any figure. And our characters can be such figures that turn from dancers into runners and then into karate masters. All interested parties liked the idea with origami very much and we decided on expanding on it. We tried to find a universal look: teacher and two students. Just in case, we decided to reflect the idea of transformation. We let our student hungry for new skills turn into a bird and shoot up in the sky – transformation and development two-in-one. Unexpectedly, we all (us and the client) realized that one logo just would not be sufficient – we need to draw a series of logos, so that each thematic site could feature its own logo but all logos would reflect the same idea. So we kept drawing. The result came out original and stylish. 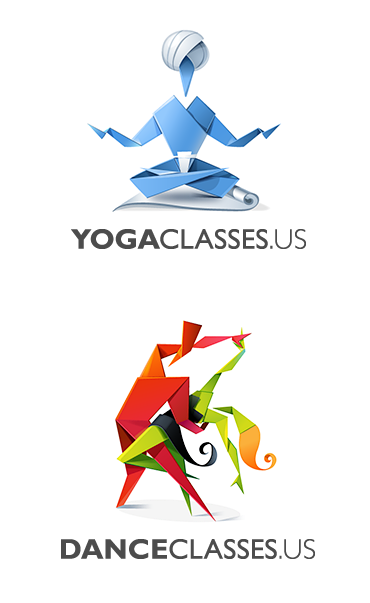 Pleased with ourselves and the results we were about to have some rest but the client requested logos for yoga and salsa (the dance, not the sauce). They are such lovely logos, they’re quite detailed but easy to look at. I do wonder how long it would have taken for you to create one of them?